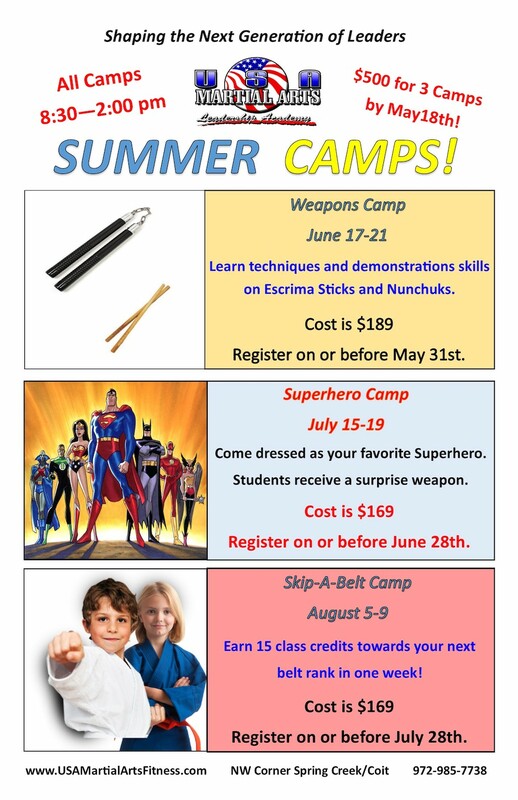 Keep Your Child Active And Engaged With Our 2019 Summer Camps! 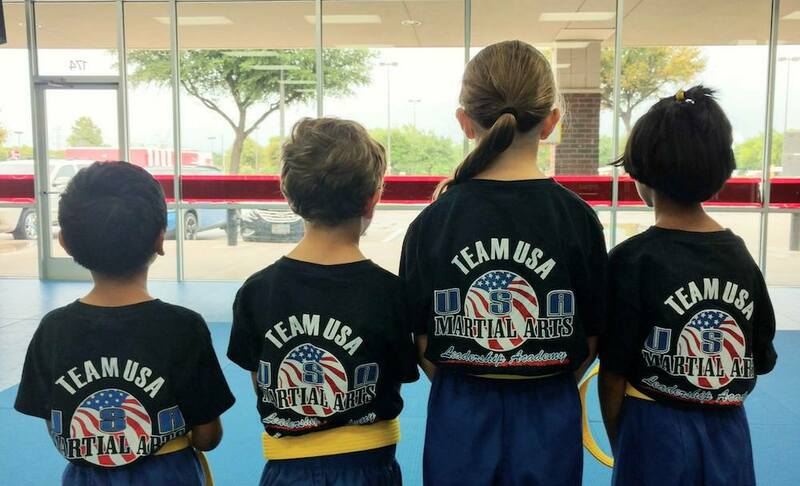 If you want to treat your child to the ultimate day camp experience, look no further than USA Martial Arts! We have exciting camps available throughout the summer, with options that every child will enjoy! The best part is, your child doesn't need any experience to succeed - beginners are welcome and encouraged! Be Sure To Sign Up Before Our Camps Fill Up! Register on or before May 31st. 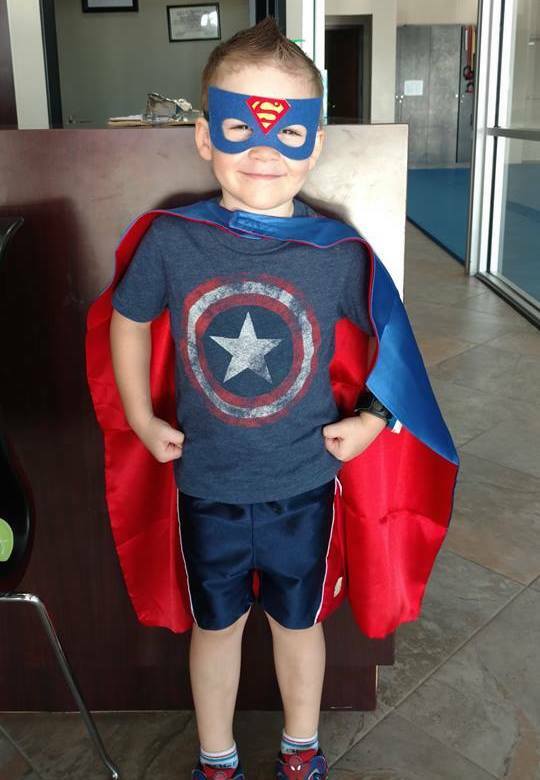 What: Come dressed as your favorite Superhero. Students receive a surprise weapon. Register on or before June 28th. What: Earn 15 class credits towards your next belt in one week! Register on or before July 28th. If you're interested in attending all three camps this summer, please register by May 18th.